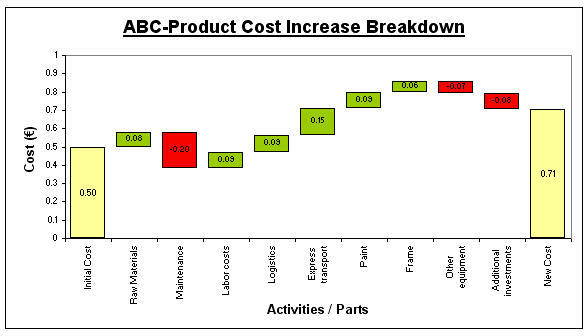 This excel document is a template for waterfall chart. It is free from Visual Basic macros , user-friendly and totally free for personnal use. positive/negative factors can be easily spotted based on colour-code red / green. One more point, waterfall charts become the standard type in Excel 2016. But if you use older version of Excel, Waterfall Chart Studio will be useful for you.